MB: This is Dr. Michael Brickey with Ageless Lifestyles Radio, cutting-edge thinking for being youthful at every age. On each show I interview experts on what it takes to live longer, healthier, and happier. Our program takes a holistic approach in addressing anti-aging psychology, medicine, alternative medicine, fitness, nutrition, and wellness. Our emphasis is on innovative thinking and practices that have solid data and results.Perhaps Ponce DeLeon never found the fountain of youth because he was looking for magic water. Judging from how many people in their hundreds are artists, the fountain of youth may well be art. Art in its many forms lifts our spirits, challenges our minds, and gives us perspective.Today’s guest, Amy Gorman, became fascinated with artists in their nineties and hundreds. That inspired her to profile twelve artists in her book, Aging Artfully, and the documentary film about the artists titled Still Kicking. Amy Gorman’s career has spanned all ages. She developed and for eighteen years was the executive director of Kidshows, a nonprofit organization that introduces children to the arts. She’s been a medical social worker with dementia patients. She’s a sculptress, a historian, and a storyteller. In the first part of the show, we’ll learn about the artists she studied. And in the second part of the show, we’ll focus on how you can pursue art to help keep you youthful, creative, and fulfilled. Amy, how did you get from working with children to working with seniors? AG: Well, I think when my son was in nursery school, I heard a psychologist come to the school and talk to the parents. And she was addressing, of course, parents – all the kids were three and four. And she said that – she was taking care of her older parent at the time – and she said, “You know, I’ve been thinking, if I didn’t work with children, I would work with older people.” And that always stuck with me. And then I was producing shows, introducing very young children to the arts, because that’s where my passion was. And I’m also a social worker and I worked for many years with older people as a social worker. So I saw the downside; I saw a lot of older people ill with dementia, with Alzheimer’s Disease. And I loved it. I loved working with the older people. So I always had a voice in the back of my mind and I said, “Okay, I’m doing it.” And then this project was, oh, a combination of things. It satisfied something I wanted to do from the story I just told you, but also it was because I was a sculptor, and as many artists confront, I was stuck in my sculpture, as I like to think of it. And I really wanted to speak with older people as role models. I wanted to get some guidance from them. And here I was, 62 when I began the project. So I went looking for the next generation. MB: When you say “stuck,” you mean you hit an artistic block? AG: Yes, I kept thinking I was on a plateau. That’s something, I think, that all artists go through. MB: So did the older artists get you unstuck? AG: They certainly got me thinking and doing something different creatively. And yes, that absolutely got me unstuck. At first I went off on the other tangent, interviewing and writing about them. And all the while, I was doing my sculpture. MB: So how has your sculpting changed as a result of working with them? AG: Oh, I suppose I’m just happier with it. I’m happier with the process. I think that’s it more than anything. The process doesn’t get me so upset anymore. AG: Well, I think – yeah, maybe so. Maybe that’s it. Or maybe I had this creative burst with the writing of the book and working with the film. So I saw that creativity comes when you least expect it. And of course, I was in my sixties, and it’s never too late to start something new. It was a whole new experience for me. MB: Well, sixties is just a kid. AG: Yeah, exactly, exactly. It certainly felt like that, talking to nineties and hundreds. MB: So how did you find these women? AG: That’s a very curious question. It’s really word of mouth. I woke up one morning – I say this in the book – I work up one morning and age was on my mind. And that’s exactly what happened. So the whole thing was very organic. I mentioned my interest to a friend who was a composer and a pianist. And she asked me if I knew Lily Hearst. Lily was over 100 and playing the piano every day at the senior center in Berkeley, California, where I live. So I said, “I don’t know Lily but I’d love to meet her,” because when I talk about art, I’m talking about all the arts, not just the visual arts. AG: So we went to meet Lily and it was her 105th birthday. And truly, Michael, I just fell in love with her. She was completely with us in the room and you could have a conversation with her about anything. She was just wonderful. Of course, it was hard getting a meeting with her. She was busy. And I said, “I need more Lilys in my life.” I wanted more Lilys in my life. I wanted to surround myself with Lilys – very, very active, wonderful people in their hundreds. There she was. We had just listened to her play the piano. She played every day before the lunch hour. It was wonderful. And then I started mentioning it to other people, and they said, “Oh, do you know so-and-so? She’s over 90 and she’s a writer.” Or, “Do you know Frances? She’s a painter and she’s in her nineties.” And so on, and on and on. People – when they heard this, they thought of somebody and said, “Go speak with her,” “Go see her,” “Go see her.” It just unfolded that way. MB: And the word of mouth probably contributed to getting such a wide variety of artists, I mean different types of art. AG: Exactly. And once I realized that this was something I wanted to write, I wanted to bring it out to the world, I started making sure and rounding out the people whom I was seeing – I wanted a variety of art forms, I wanted a variety of personalities, and all kinds of diversity. MB: Did you see anything in common with the artists that you studied? AG: Yeah, I like that question. I did. I think one of the important factors in the women I interviewed is that they do not think about the negative very long. As it is said in some of the literature, they can shed stress. They don’t focus on the negative. They move on. They’re very busy – that’s another factor. They’re busy all day. They’re living right here, in the here and now, and they want to live that way. They don’t ruminate about past ambivalences or conflicts. They’ve passed that. And they’re really content to explore the here and now. And it is great to be in their presence. So that’s another common trait. They’ve also got a sense of humor, every one of them, and want to do their art every day. They have schedules. They’re quite disciplined people in their own way. They have schedules. They have a lot to do. And their art is part of their lives – very, very definitely. The people I interviewed all wanted to work at their particular art form. And it’s part of their regular schedule. MB: The characteristics you’re talking about are common in vital centenarians, whether they’re artists or not. MB: I wonder if there’s a chicken and egg thing that the art helps them live longer, or does taking up art do that for people? AG: Well, it is – we don’t know, do we? It is a kind of chicken and egg question. But we can only speculate that the art certainly helps give a purpose – I think purpose is very important in one’s life in general, all kinds of purpose. It does not have to be art. But with these women, it was art as one of their purposes. They had – they were interested in many different things. Many of them were writing letters to their congress people. MB: What do they want from the congress people? AG: Oh, various things. It would range from putting elevators in the metro, in the BART stations in the San Francisco Bay area. You know, political candidates that they were supporting, the war – we started this right around the time of the Iraq War, so they had their opinions, one way or the other. They’re busy. MB: And some of them were on one side of the war and some of them on the other, or…? AG: No, I would say that they were all on one side of the war, at least the ones that talked about it. One of the women in the book, Dorothy Toy, has a fascinating history. She’s still teaching dance. I went to her 90th party a few months ago. And she has students coming to her house, so she keeps busy that way. Another of the women who was a dance teacher and still had a dance studio but was in a wheelchair, and so she started teaching piano in her nineties. And she had – when I was interviewing her, she had seven students plus another teacher in the studio in back of her house taking care of all the dance students, but Ann was teaching piano, so that’s part of her routine. MB: Are there ways in which they were different? AG: Oh, I think, like any sample of people, you’ll see their personalities, of course, are all very different. And their history – they’d all had tremendous suffering in their lives of one sort or another. They are not women who had easy lives. MB: Yeah, a lot of people have the assumption that people are living longer because we’re just lucky and had it easy, and it’s often quite to the contrary – they’re very tested people. AG: Exactly. You learn to cope with – in fact, one of the women said – I’m remembering now – she said once you’ve had a serious tragedy really in your life and you’ve gone through it, you can manage with anything, because you learn coping skills. MB: Can you describe some of the women? Maybe some of your favorites? AG: Oh, sure. I couldn’t pick favorites, but I’ll mention a couple who actually were not in the film. In the film, all the women are between 90 to 106, the film Still Kicking. One of them who is not in the film has a great quote. This is Isabelle Ferguson, who was a painter and an illustrator, and at the age of 86 had always wanted to be an actor. There is a senior theater company, Stagebridge, in Oakland, California, fortunately, for people over 55. And these theater companies are spreading around the company, so if you’re interested in theater, anybody in the audience listening, you probably can find something in your community. But Isabelle, at the age of 86, had decided she wanted – she had always wanted to be an actress, so she joined. And she just had the best time. She’s a very funny person – I mean, humorous. She comes up with jokes all the time. She says, “Old age is hot right now. They don’t know what to do with us.” So she understands what all the talk is about and what you and I are interested in. She was fortunate to be part of this theater company when – they actually went to Las Vegas in her first show she was in, was called to Las Vegas. There was a convention of senior theater companies from around the country. So she just had a great time. MB: Now you’ve got me really curious about these theater groups. What kind of repertoire do they do? AG: You know, it will depend, from what I know. I mean, there’ll be scripts – the directors of the companies will find scripts, and oftentimes – in this theater company – people write their own stories, which is very therapeutic, and people love to hear about them. In this particular group, they go out to the schools and tell their stories to school kids. So it’s not a real theater company where you’re doing serious drama and people come. They may be doing children’s theater, for example, children’s plays, and they’ll mix the older – the seniors with some kids, so you have a family audience coming. There is a whole variety. I think it would depend on the bent of the director and what the director wants to do and what the people want to do who are taking the classes or joining the company. AG: Exactly. I think the goals are very different – at least in this local theater company. I love the idea of seniors telling their own stories, especially to school kids. And then, you know, they have a lot of fun with costumes, because that is so much a part of theater. And some people are interested in making the sets, so they work behind the scenes. MB: Well, there are a lot of shy seniors, sure. AG: Yeah, yeah, to want to a join a theater company, you have to feel that you want to be in front of an audience – that’s often a stumbling block to a lot of seniors. MB: Well, at any age. MB: How do the school children respond to these stories? AG: Oh, I think the numbers of kids, at least in this area, who have heard the stories is vast – I mean, thousands. They do dozens, hundreds of shows in schools. They’re marvelous. They love it. I mean, you know, you’re not going to get every kid loving every performance, and each of the seniors has a different story to tell. But there are some classes that want them back, and there are some classes that have a kind of grandparent – they pair up the school kids with the seniors; that’s another idea. They’ve done many shows with kids, where they rehearse together and they perform together. Isabelle did that and she absolutely loved it, especially that her picture got in the local paper. MB: So this led to a number of ongoing relationships between the seniors and the school children. AG: Yeah, and sometimes year after year. MB: One of the people you studied was a storyteller, which people don’t usually think of as the arts. Can you tell us about storytelling? AG: There are many professional storytellers, and there are these great storytelling conventions. You get marvelous storytellers. Remember, of course, Native Americans – we have a long tradition of storytelling and oral history being passed down. And many of the storytellers I have met over the years are very sad about the loss of that oral tradition. So one of their goals is to reinvigorate it. And you can imagine – just picture sitting in the library, even on, you know, Halloween, when you get the scary stories, and the kids are just mesmerized. And it’s starting out with library story time when you have librarians, and then this tradition has grown and blossomed. You have some really amazing storytellers who are actors truly or they’re – you know, which comes first, the actor or the storyteller? And often music is involved. You can have an accompanist with a drum, very quietly, or a flute – I’ve heard that, too. I just happened to meet a storyteller who used to run a local radio program, and she used to read stories to the kids and tell the stories, as well. And she had the kids on the radio – it was absolutely marvelous. And she died at 90, but up until the day she died, she was going to the schools, telling stories. AG: She was not a performance artist. There are many storytellers who are truly performance artists, and they’re marvelous – if you ever have a chance to see one or if something comes to your neck of the woods. There are two storytellers in the book, out of the twelve women. And the other storyteller, she does go to festivals. And she’s a real character, eccentric person who talks to people in the street and tells them stories – short stories – from her stack of wise stories. MB: You know, there was some fascinating research where they had listeners here – young adults telling stories and seniors telling stories, and they couldn’t tell which was which, but they rated the seniors as better storytellers because they had more emotion, more passion, they told more interesting stories. And I think that comes at a time in life where you step up to being the patriarch or the matriarch of the family to pass on the family stories and traditions. AG: That’s right. That’s very well said. I think that goes along with telling your own life story and the life of you, which is such an important part of living and such an opportunity we all have to go through our life review. And so you integrate different parts of your life psychologically – it’s so healthy, and why I think it’s encouraged now, certainly in assisted living and nursing homes. We can do that before – we don’t have to wait until we’re 80 or 90 or 100. MB: Well, it should be a lifelong process. MB: We lose it when we start calling it a resume. MB: Tell me about some of the other women that you worked with? AG: Faith Patrick is a folk singer. She’s still jetsetting at 92 now. She’s going across the country. She sings at folk festivals. She’s the only person I communicate with by email. The others don’t do email. But Faith writes a column every two weeks, I believe, for one of the national folk song magazines, Sing Out. And she’s very well-known within the folk community, and she’s a wonderful character. She lives in a great old San Francisco Victorian house. Currently her granddaughter is living with her, but otherwise she’s been living there alone, and they still meet on Friday nights and sing – the whole community sings, plays instruments. Oh, many marriages have come out of that house, apparently – people meeting each other at the folks sings. MB: See, she should’ve been a minister, too, and could’ve earned some extra money that way. AG: Yeah, well, that’s true. That’s an idea. Maybe she’ll start that now, Michael. MB: There you go. Does she have a special role in the community? AG: Oh, she has. Oh, yes. She certainly does in her folk singing community. She started a San Francisco folk club. And oh, you know, there are just hundreds of people who have gone through that, because this is many decades back. And importantly, Faith – as many of the people I wrote about – did not start until retirement. That’s an important message that I’d like to get across: It’s never too late. She started singing and touring really after she retired. Frances Catlett started painting after she retired; Frances will be 100 this July. In fact, you’ll see a photo, if you get AARP Magazine, in the March-April issue, page 75. AG: And it mentions the Still Kicking film. AG: So there’s a photo of Frances. MB: Well, that’s only going to publicize it to, what, about 20 million people? Or is it a lot more than that? AG: Oh, it’s tiny, you know, it’s an inch square, whatever. But there’s a big retrospective of her paintings now in the city and they’re going to have a big gala, 100, for her. And I guess that’s why AARP – but it isn’t because she’s going to be 100. And she bowls twice a week. She drives to her bowling. So she also fits in with the remarkable centenarians, except – well, she’s one of the 6% of the centenarians who have had cancer. She survived cancer 20 years ago – stomach cancer, I believe. MB: Oh, wow. Who else did you interview? AG: Did we talk enough about Lily? Lily, who broke both legs at 88 as a skier. Lily was the 106-year-old pianist. AG: But Lily was – well, she was a mountaineer. She was the first woman, with her sister, to wear pants like the men. All the women then were wearing skirts when she skied. She’s Austrian. She escaped when the Germans came in, in 1938. She was very fortunate to escape. Lily was a Viennese Jew, when she came in 1938, and spent the rest of her time in this country. And well, really, a marvelous skier, mountaineer, hiker. But when she broke both her legs at 88, she turned to hiking because she could no longer ski. She broke them in a car accident. But she played – until three weeks before she died, she played the piano. She was a remarkable role model. Dorothy Toy I mentioned earlier, had a fabulous career as a tap dancer. She was born Japanese, and because of the war, passed as Chinese with the Toy. As she says, it was shorter and fit on the marquee. But she and her Chinese partner toured the world, and during the war had to stay away from California because of the Japanese internment. So she had quite a history. And she is still teaching dance, ballet – mostly ballet and modern. And she teaches the Chinese – she’s had two Chinese husbands, which is very unusual. And she did speak Japanese – her mother lived with her for a while. And she’s just a small person, beautiful, trim, a pleasure to be with. MB: Does she still dance herself? AG: She doesn’t perform. She choreographs for groups. She does fundraisers for local community groups, for the church, or for some local groups supporting seniors, who are helping seniors. And they do fundraisers and she choreographs their shows. That’s how she likes to spend her time. AG: Yeah, oh definitely, because she’s got these students coming to her house, both adults and young adults. MB: Why did you choose to focus just on women? MB: So you’re creating more romance again. AG: Yeah, that’s true. A lot of close-ups in the film, so you see the women up close. We don’t get a lot of positive images of aging. AG: You know, the old adage, women are invisible after they’re at 55 or so. MB: Well, they used to be. They’re not standing for it anymore. AG: You’re absolutely right. Well, the Boomers are speaking out and giving the older folks a little bit of space, a little bit of show, like they don’t see too many really older people in the movies or on TV, except when we look at disease, we look at the downside of aging. And it’s real – I don’t want to deny it. It’s very real. MB: There have been a number of movies – Driving Miss Daisy and Cocoon and the Art Carney movie and so we’re starting to see more of them with the seniors taking a role that has some meat to it and some message to it. AG: Yes, and notice that we can count them on one hand or maybe two, so we can remember them because they’re outstanding and we notice that, “Oh, here’s one with older people,” and it’s so unusual. I agree, it is happening more and more. MB: Now, if I wanted to see Still Kicking, where would I find it? AG: You can find it on Amazon. You can find it on – Greg Young is the filmmaker and his website is GoldenBearCasting.com, GoldenBearCasting.com. MB: And how did you get hooked up with a movie? AG: Oh, that’s a great story. Orunamamu, which is the Nigerian name for Mary Beth Washington – I was interviewing her and she invited me to a screening of the film – Greg Young had just completed a film of her. He followed her around for two years, watching her every move and trying to clear out her house, which is overcrowded, shall we say, overstuffed, and she wanted to make it into a storytelling museum. Anyway, she invited me to the screening along with Frances Kandl, the composer, and there was Greg. He was ready for his next project. And he asked me if he could be the fly on the wall and come to my interviews. So I said, “Sure.” We didn’t know it was going to be a film at the time. We didn’t know it was going to be a book. But Greg got excited about filming the women that I was interviewing. Frances Kandl was completely inspired after meeting Lily, the pianist, and went home and wrote a song about her life. And then she wrote songs about many of the women. And there’s a CD in the back of my book, “Seven Songs of Women’s Lives.” The songs are stories about the lives. And the purpose is simply to celebrate our elders. It’s been a wonderful project. See, her music is also part of the film, and we had many concerts – you will see some of that in the film – honoring the women and singing their songs, singing their lives in song. So it’s been a lot of fun. AG: Yeah. And Frances – oh, I guess she was about 70 when she wrote the music so she has another, what, 30 or 40 years to go. AG: A lot more music. MB: We’re talking with Amy Gorman, author of the award-winning book, Aging Artfully, and subject of the documentary film Still Kicking. Her website is – not surprisingly – http://www.agingartfully.com/. It has pictures and excerpts from the book and more about Amy in the film. 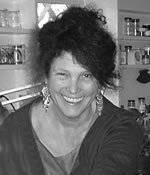 Amy lives in Berkeley, California, and speaks and gives presentations on her work. If you’re interested in anti-aging psychology, sign up for my free Defy Aging Newsletter at NotAging.com. If your company or association would like to cure grumpy old men syndrome in the workplace and have more optimistic, upbeat, youthful employees who are more productive and need less sick leave and less health insurance benefits. Information on that is at Anti-Aging-Speaker.com. Amy, for all the Boomers and seniors who say, “Oh, this is great stuff but I don’t have any talent, so it doesn’t really apply to me,” what would you say? AG: The good news, Michael, is that as age, we seem to lose the negative piece in our life, the negative emotions, and the little voice that says, “You can’t do it.” That seems to disappear, and the positive emotion remains. There is a lot of research now that Roberto Cabeso, I believe, at Duke University, has been doing research that talks about the two sides of the brain. We think about the intuitive right side and the literal left side, the analytical left side. But as we age, they come together and they work together. So it actually makes creativity easier as we age, which is a fascinating concept. When you’ve got the intuitive and the analytic working together, they don’t have to struggle or fight each other so much. It’s more natural. And that, coupled with the fact that we maintain our positive emotions more easily as we age and the negative ones seem to disappear, you can try anything, because it becomes easier. You’re not so hard on yourself. I think that’s really what a lot of people have said, apart from the neurological research. So I would say, “Try it. You never know what’s going to happen.” And the classes are increasing, because there’s research coming out now indicating that people are truly healthier when they’re involved in creative activities. They visit doctors less frequently, they take less medications – it’s not surprising. MB: So one of the easiest ways to get started is to just take a class. AG: Yes, take a class, socialize with other people, go to the senior center. I mean, this is for seniors. There are other ways to do it when you’re younger. But when you’re a senior and you’re looking for things to do, the best resources usually are the senior centers or the recreation centers in your community. Often the libraries have a lot of good ideas. I love libraries. Depending on your community – you know, there may be an art center. Or dance – dance is wonderful when you’re older. You’ve got to do the movements as well as using your brain and you get exercise. There are all kinds of wonderful dance programs. Guess which one, Michael – guess which form of dance is supposed to be the best for your health? MB: I have no idea. AG: Well, there’s even research on that, and it’s the tango. AG: Yeah, because it requires a lot of thought, a lot of movement, and involves different parts of your being. Not everybody’s going to start to tango, but it’s something fun to think about. MB: And for the men, if they’re willing to dance, they’ve got the choice of the women. AG: There you go, there you go, right. In any form of dance, isn’t that true? MB: With your art background, if somebody, say, 65 years old, said, “Well, I’ve retired. I want to try this art thing.” How do I decide whether to take a class, maybe at the university or a community program or to go to the senior center? Are there certain personalities or styles that would fit better with different programs? AG: Try one and see if you like it. Usually when people think about what it is they want to do, they say, “Oh, I don’t want to do that, don’t want to do that, but maybe I’ll try that.” You know, maybe you’re interested in photography, maybe you want to get your hands in clay, maybe you want to learn a new instrument. Many people, if they have played an instrument in the past, they may pick it up again in retirement and join a local community orchestra. There are wonderful extended learning programs now in almost every community, where – some people like to work alone, let’s not forget that, or with a group of friends at home. I mean, look at the old quilting bees. MB: It’s probably a matter of what are you most comfortable with and who do you most enjoy being with, and how large of a group do you enjoy being with? AG: I think those are good questions. Cost often enters into it, as well, and scheduling – if you like to work in the morning or if you prefer going out in the evening – all of those factor into it. I like to look at community bulletins and see really what’s available when I’m ready to do something. And I hope that your listeners take this to heart and nudge each other to get out there and try something new. So much of the research these days indicates that challenging yourself to do something new is one of the secrets to good health and longevity. It’s got to be new. The old stuff is not going to challenge us enough. MB: You’ve organized a lot of things. Any tips for people who want to get something going in their community, not sure where to start? AG: They certainly can email me and I’ll try to help. AG: Yeah. See, I love to help people do that. But there’s a wonderful organization, the National Center for Creative Aging, NCCA.org, if you use a computer. National Center for Creative Aging just moved to Washington, DC from New York. They have satellite groups around the country and they are expanding. That’s one place to start if you want information about where there may be programs, art programs. MB: So if their community has one of these satellite programs, what would happen if they went to a meeting? AG: That would depend on what the program is. It may be bringing dance to dementia patients. It may be working in a senior center with a painting class. They really vary across the country in the different programs. It depends on the teacher, it depends on the personnel in that city. MB: You brought up dementia. Have you seen art help people with dementia? AG: Definitely, definitely. People have done amazing things with dementia and art, with dementia and music, and with dementia and dance. There are people around the country who are creating these programs. As soon as we get more research really pulling together the value of creativity and arts activities with health, more and more programs can be funded. That’s the goal of many professionals working in the arts and aging area, trying to get more and more programs funded because they see that people are healthier when they are engaged in these activities. So starting when you’re healthy, before you hit dementia – you know, it’s amazing how many people do have dementia over 85, it’s about half – that’s a big statistic. But many won’t. And even with dementia, the art programs have brought amazing results. First of all, it makes people happier doing the art, whether they have dementia or not. That increases morale, generally, and overall health. MB: I have to admit a bias. I’m so turned off by things like Bingo. And I love the idea of art, really using your mind rather than babysitting people. AG: Uh-huh, uh-huh. Well, you know, Bingo does use the mind in ways – I mean, you have to think about the numbers. But there are so many other things to introduce. And of course, it’s a job training professionals to teach these programs. You know, you have to be willing to bring in professionals who can bring these programs to people in the senior centers as well as in places where dementia patients are located, or adult daycare centers. Senior centers and recreation programs – many, many communities have programs that are just wonderful. So definitely I would encourage people – and write to me, check my website and write to me at AgingArtfully.com. I’ll see if I can help if you need some help. MB: That’s wonderful of you. Thank you. I’m also interested in the storytelling. I think that’s such a wonderful art form. How do you get started in that? AG: Again, some people, some professionals are teaching oral history methods. They’re gathering people in groups. And I think finding the resources is not as easy as for visual arts. I don’t think there are storytellers in every community as there are visual artists. But of course, one has to just try and be ingenious with resources. If somebody wants to work on their own, they can just start reading books out loud and develop their own style of storytelling. Now that we have recorders easily accessible and easily usable, that’s good practice. I would also say, encourage anybody to go to the library and ask the librarian. MB: Yeah, they’re usually very up on it. It would make your librarian very happy. AG: That’s true. The librarian might want to start a group if there’s enough interest. Lots of librarians love to do storytelling. MB: I’m also a big Toastmasters fan, and Toastmasters usually focuses on giving speeches, but there’s no reason that people can’t use it for storytelling. AG: That’s true. Yeah, that’s something – you can join a Toastmasters Club and say you want to do storytelling and everybody bring in a story next week or next month. MB: Anything else you’d like to share with us? AG: I think we’ve covered the gamut. I’d like to encourage people to take care of themselves, get involved in some art form, do something new. Look at my website, look at the book, and get inspired. MB: Amy, I think you’re doing just wonderful, wonderful work. I thank you so much for being with us. MB: We’ve been talking with Amy Gorman, author of the award-winning book, Aging Artfully. The women she interviewed were also subjects of a documentary film, Still Kicking, which is at many film festivals. Amy lives in Berkeley, California, and speaks and gives presentations on her work. She also does personal oral histories. If you’re interested in anti-aging psychology, sign up for my free Defy Aging Newsletter at NotAging.com. I also love working with companies and associations to cure grumpy old men syndrome, working with workshops and consulting to help employees feel more youthful and upbeat, more productive, and the employers love it because they need less sick leave and use fewer health insurance benefits. We’ve been talking with Amy Gorman, author of Aging Artfully, which profiles women artists in their nineties and hundreds. It’s also the subject of a film, Still Kicking, which is available on DVD on her website, http://www.agingartfully.com/. If you’d like for your fellow employees to overcome grumpy old men syndrome, I can help. I love giving keynotes, workshops, and doing consulting with businesses on how to help employees think, feel, look, and be more youthful. When that happens, they’re more productive, turnover rates drop, and the employers are delighted to see less need for sick leave and less utilization of healthcare insurance benefits. Information on my speaking services is at Anti-Aging-Speaker.com. If you’d like information on anti-aging psychology, subscribe to my free email newsletter, the Defy Aging Newsletter, at NotAging.com. I’d like to leave listeners with a baby step for how to live longer, healthier, and happier. Amy has shared with us role models for how people in their nineties and hundreds are nourished by art and how it helps them. She shared how it’s never too late to get started, and how to get started. When we were kids, we had heroes – Superman, cowboys, and sports heroes and Nancy Drew. As adults, we need heroes just as much as children. What I’d like you to do as a baby step is, whether you are very involved in arts or not involved in arts at all, is to think about a way that you could become a little more involved. What aspect of art could you become more involved in? Visual arts? Would it be music? Storytelling? Maybe even studying architecture, getting involved in the theater. Would it be directly producing the arts or maybe behind the scenes? Would it be taking a course in art appreciation or music appreciation, or maybe trying opera for the first time? Whatever it is, see yourself doing that some time in the future and notice what you see yourself doing, what you hear, and especially notice how that makes you feel, how that lifts your spirits, how that gives you energy, how that adds to your sense of purpose and fulfillment. See yourself at 100 years old, a snap in your step, a glint in your eye, still involved in the arts, and how it lifts your spirits and how it gives you more of a sense of purpose. Perhaps you’ll want to take a step that direction today or tomorrow, or perhaps you’ll want to have it as a dream, waiting for the opportunity to present itself. 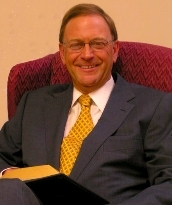 This is Dr. Michael Brickey with Ageless Lifestyles Radio on Webtalkradio.net. I’d love to get your feedback and comments. Just sent them to radio@drbrickey.com. Information on anti-aging psychology and the Defy Aging Newsletter, which is free, is at DrBrickey.com. Thank you for listening on our quest to live longer, healthier, happier lives. MB: This is Dr. Michael Brickey with Ageless Lifestyles Radio, cutting-edge thinking for being youthful at every age. On each program I interview experts on what it takes to live longer, healthier, and happier. Our program takes a holistic approach in addressing anti-aging psychology, medicine, alternative medicine, fitness, nutrition, and wellness. Our emphasis is on innovative thinking and practices that have solid data and results. Are you sometimes baffled by so many schools of thought with contradictory advice about health? Today’s guest expert, Dr. Richard G. Petty, has traveled the world meeting with top researchers and gurus to sort out what works and to develop an integrated approach to health. Dr. Petty received his medical training in England, and since then has obtained three PhDs. He put his knowledge and wisdom together in his book, Healing, Meaning and Purpose. He also is a popular speaker who has lectured in 44 countries. In the first part of today’s show, we’ll look at how Dr. Petty views health and dealing with health challenges. In the second part, we’ll look at what he has found to be the most exciting cutting-edge developments in health. Dr. Petty, is the title of your book, Healing, Meaning, and Purpose, meant to suggest that integrative health starts with purpose? RP: Absolutely. And you’ve actually just hit the nail on the head. We spent a long time trying to come up with a title, and somebody had just said to me, “Set down, what is the most important thing?” And I said, number one, have a purpose in life. Find your purpose, because everyone has one. Number two is find meaning in your experiences. And number three, from that, health, healing – it all just flows down from there. And so it really is essential. And I’d like to just pick up on something you said there about some integrative approaches. One of the things that we’ve done – and you’re right, I’ve been a globetrotter over the years – is to create integrated medicine, which is very slightly different, and it’s a slightly different idea, but I wonder if I could just share a little bit of that, because I think it’s going to kind of give a context for the rest of what we talk about. So may I say a little bit about that first, perhaps? RP: Okay. The reason we came up with this term, and I had the privilege of spending several years – eight years, actually – working with Prince Charles on setting up a new system of healthcare, which we call integrated, the idea being not just to cobble together a few different modalities, but the fundamental idea is that health and wellness and, for that matter, longevity, is really a function of integrating all the different parts of you, yourself, your mind, your spirit, your body, your relationships – all of it. And we know full well that if any one of those things is not functioning properly, then you start feeling lousy. And the way that I always look at this is that, for me, symptoms are signals. So if you’re in a dysfunctional relationship, if you have a physical problem, for me those are signals that something somewhere is going wrong and the integration hasn’t worked. So that’s the idea. And whenever we look at people, one of the cardinal ideas is that we look at them from five dimensions: physical, psychological, social, subtle – so for the subtle systems of the body, and spiritual. And not everybody likes all five, and that’s fine. But I approach everything about health and wellness from those five perspectives, and it really does seem to work very well. MB: If I asked a dozen different gurus, “How do you find your sense of purpose?” I’d probably get a dozen different answers. How do you put that together and integrate it? RP: Okay, yes, you’re absolutely right. You do always find a ton of different answers to just about everything. And what you also said at the beginning I liked very much – the whole field of health and wellness is so confused and confusing for everybody. So for me, purpose is, number one, it’s very much a personal thing. It’s a matter of what your core constructs are, what really matters to you. And I always, always recommend to anybody, if they’re going to do anything in life, just sit down and find out what really matters to you. And as far as you possibly can, live your life with those, instead of just trying to do what other folks say. The other day I was talking to somebody and he is a very creative individual and he wanted some advice on how to get more organized and time management and all this. And I said, “Steve, wait a minute, wait a minute. You are very creative. Your purpose is actually to generate ideas and you do this fantastically and people pay you a king’s ransom for doing that sort of thing. Why are you trying to teach your cat to quack?” And he said, “What?” And I said, “You’re teaching your cat to quack. Your purpose in life is to be creative and you bring that to everything you do. And so say that you now want to go in a different direction and organize yourself differently doesn’t make much sense.” So I think it’s very individual, it’s very personal, but everybody does have and can find a purpose in life. And some folk even say, you know, you have more than one. You have a higher purpose, you have a spiritual purpose. But I spend a lot of time always getting people to sit down and really look at what are the things that are your hot-button issues, what are the things that matter to you? And if you’re not doing those things, chances are things will not go well for you. I was recently advising somebody who’s a doctor, and he said, “I never really wanted to be a doctor.” And I said, “Why not? Why are you doing it?” He said, “Well, my parents pushed me into it. They’re both doctors. They went to medical school.” And I said, “Well, what do you really want to do?” He said, “I want to play the trombone.” And in fact – I said, “Well, don’t you go and do that?” And in fact, what eventually happened, he put his financial affairs in order and, you know, plays music professionally. He’s found his purpose. And I think it’s always such a mistake, isn’t it, because you and I both know, and everybody listening, there’s so many people who’ve lived their lives through somebody else’s lens – they’ve actually done what other people have said. And it’s very hard to do that and find satisfaction. And eventually what happens, the wheels come off and you start getting sick and something happens. So this is why I think it’s very personal and yes, you’ll get 100 different answers for what is your purpose. It’s individual. Find it for yourself. Don’t rely on anybody else to tell you. MB: So sometimes the most brilliant things in life are just figuring out how to get it really simple. And for someone who’s trying to find their purpose, it’s just asking themselves, “What really matters to me?” And that makes a purpose very similar to meaning. RP: Absolutely. And I really do believe that purpose and meaning are very closely interlinked. And if you just sit down briefly and look at the interrelationship of those and what really matters in your life, you will find very quickly that not only will you find your purpose, but everything you do starts to be imbued with more meaning. So I always say to try not to wait until your body, your relationship, something trips you up, telling you it’s time to look for the answers. Because most people go through sort of phases of life when the big questions come up, the “Who am I? What’s the meaning of life? What should I be doing with my life?” We normally get those at crisis time. What I suggest is look right now, today. Start looking at those things and you will find very, very quickly, just asking very simple questions, that you can come up with the answer for yourself very rapidly. So this does not need to be something which takes you half a lifetime. You can find it quickly. And I do a ton of very, very practical things to just find out where people are at, what their center of gravity is, and from that we can work out a purpose, and from that flows meaning. MB: So, rather analogous to physical health – be proactive when you’re healthy rather than waiting for the symptoms to give you a wake-up call that you have to do something at a time when you’re feeling pretty unresourceful to begin with? RP Oh, totally. And how many of us, though, don’t start digging our well until we’re thirsty? And it’s such a terrible mistake. You know, there’s a statistic that I think is really very sobering. It was published in the Archives of Internal Medicine a couple of years back, that only 3% of Americans are following the minimum healthy lifestyle, 3%. 97% are not. And that doesn’t even take into consideration things like having meaning, having purpose, looking after your mental health. It’s just the physical stuff – 3% are doing the minimum. Shocking, isn’t it? MB: So if we’re not even looking at purpose, what is it that the 3% are doing right? RP: Well, when they look at statistics like that, the 3%, it just means that they’re eating, exercising, and sleeping. And that pretty much is it. And we all know that a healthy life does not need to be complicated. One of the biggest issues that I run into all the time – and it took me, as you said, a lot of qualifications, a lot of experience to get this – that the answers are actually terribly, terribly simple. And you can do things quickly and it doesn’t need to be something that you have to change everything about life. You can do things quickly and easily, and that must be one of the take-home messages: Quick and easy is the answer. MB: You write about how, if you have your purpose and meaning aligned, you’re going to have far more energy. And again, if I asked our twelve gurus what energy is and what it means, I’d get twelve different answers. How do you translate or integrate all these theories? RP: Well, I agree with that wholeheartedly, that you will always get a ton of different answers. And interestingly, we’ve just put together a new program on how to boost your energy. And although you can look it in many different ways, they actually – all roads lead to Rome – they all come down to the same kind of thing. There’s obviously physical energy and that’s metabolism, blood flow, and all of those good things. There’s also the relationship with oxygenation and breathing. Then, of course, there is psychological energy – how much you want to apply. And again, if you find your purpose, that’s where you passion comes from, that’s where your energy comes from. And we know successful people are the people invariably who don’t do a lot of extra work, but when they’re working, they focus all of their energy, all of their attention on one problem at a time, get rid of it, on to the next one. So there certainly is a psychological component of energy. I, in recent years, have also become very persuaded that there is another form of energy, these subtle systems of the body, what in China they call Chi and very similar idea in India of Prana. In the West, the Greeks used to call this *12:32 – rather the Romans and the Greeks called it the same thing, Pneuma. And this idea that there is another form of energy in the body, I think there’s more and more evidence for what we now call – I mean, the technical term is the biofield, but there really does seem to be something else. We can manipulate it with acupuncture. We can certainly build it with certain exercises that seem to do something more than just physical jerks, physical exercise breathing – it’s something else. It took me a long time to be persuaded of the existence of these subtle systems; now I’m quite sure that they’re there. And there’s actually some fairly decent evidence beginning to emerge that they’re there. And if those subtle systems aren’t working properly – again, lack of energy, you just get drained extremely quickly. So for me, it’s several separate pieces. But what’s so intriguing, and why I say all roads lead to Rome ultimately, is that if you work on developing, say, we’ll just use the example of doing some physical exercise, breathing exercise, and sleeping better, the Chinese would say, “Well, actually you are building your Chi.” And so in addition to doing the physical stuff and stuff that is easily measurable, you are also doing something else, which is extremely interesting. And I also think that one of the key things about energy is that there are so many very loose ways that people have talked about it. Years ago, we started having a working party in the UK on the whole idea of energy, energy healing, energy medicine, and so on. And one of the people who attended that – it was a small closed meeting – was Brian Josephson, the Nobel laureate, and a good friend and a nice guy. And he remonstrated with everybody and said, “For heaven’s sake, don’t use this term ‘energy’ so loosely.” He said, “These are systems.” And he said, “They’re fields, and you can’t just have energy, you have to have a field as well.” And that’s why we call them subtle systems, so we get over this kind of rather loose talk about energy this and energy that. MB: So what I infer from what you said, is part of it is just do the things that you know you should do – exercise and breathing and stress reduction – and don’t worry so much about the school. But when it comes to these subtle forms of energy and the systems, are there things that we need to know about that, or should we be studying, since most of us don’t have much of an understanding of it? RP: Yes. Number one is yes, the common sense things that we all know and love will build all of that. But there’s a whole system of very simple exercises, primarily based in Qi Gong, which is a Chinese system that anybody can learn very easily and guaranteed to boost energy, and very simple stuff that you can do. There are even some points on the body which you can just do a very simple little bit of 30-second massaging of in morning, evening, whenever you need it. And just by doing that and doing a little bit of breathing, it’s remarkable. I can show anybody how quickly you can boost energy. Just the other day I had – let’s think of one of the most skeptical types of people that you could ever have – I had a representative from a pharmaceutical company, drug rep, sales person – very, very nice, but hard-nosed business person and scientist. She told me that she was pretty tired and I said, “Okay, I’ve just done this program, I’ve just dictated all of this. So take your shoes and socks off for a moment and this is what we’re going to do.” I showed her a couple of points – and again, I can share these exactly with the listeners. And she said, “That’s amazing! How did you do that?” And I said, “You did it. You just stimulated these couple of points, did a couple of breaths.” And she said, “I feel like I just woke up and I’m full of energy again.” Very quick, easy things, but things that are very difficult to explain just on a biomechanical model of the body. MB: Is that something that you could talk us through now how to do? Or…? RP: Oh, absolutely I could. And we could do this as a little practice for anybody that’s in a good spot right now where they can do this. MB: In other words, you don’t want somebody to do it while they’re driving. RP: I’d prefer not, because if you do it while you’re driving, it would not be a good idea, and number two, it would be a little bit difficult because I’m going to make you touch your foot, and I’d really rather you didn’t do that right now because I like people and I don’t want anybody to harm themselves. Very simple, I can show you this, and something that I can do for you, as well, Mike, if it would be helpful, because I’ve just created a little schematic of this. I don’t know if it’s possible for you to do this, but you might actually want to put it up on your website so people could actually have a little look at that after the show, if that would be convenient. MB: I’d be happy to, yes. RP: I’ll offer that to you and to your listeners. But it’s very, very simple. One caveat, apart from don’t do it while driving, is *17:57. Just above your ankle bone, the ankle that’s on the inside, if you go about three inches above your ankle, just a little spot there, right in the middle. And it’s very forgiving – it doesn’t matter if you don’t find exactly the right place. And if you just put some gentle massage on there, just gentle pressure for about 30 seconds, that’s number one – you do that for 30 seconds. Then second – and it doesn’t matter if you do it on the left or the right, it’s quite all right – second is right in the very, very middle of the sole of your foot. You just give that a little bit of a massage. And again, it doesn’t need to be exactly the right place. You’ll find it. And again, you do that for about 30 seconds. Then plant your feet on the floor, sit up, back straight, and all I’d like you to do with your feet flat on the floor, is do 30 seconds of abdominal breathing – deep, slow – done, one and a half to two minutes. Try it. I’d like anybody, if they’re in a good spot to do it, just try it. You’ll be amazed and astonished, because just about everybody says, “Wow! How come that happened?” And it’s that simple. That point above your inner ankle, middle of the foot, and breathe – very simple technique. And if anybody can explain to me on using normal, physiological, biochemical models how that works, please tell me. Because one of my doctorates is in biochemistry and I cannot explain this – and I’m also a neurologist – I cannot explain it, but it works every time. So it’s very remarkable. So this is a little free gift for you. And as I say, if it would be helpful to you, Mike, I’ll email you a copy of the little picture that I made. RP: That’ll be a little gift for your listeners and for you, of course. MB: And thank you for taking us through the exercise. If we wanted to learn more about these systems and other exercises like this, what would be the best source? RP: In fact, what I’ve done is that my own website, which is RichardGPettyMD.com – and I should’ve called it something terribly creative like DancingDragons or something, but I’m not very creative so I just used my name – RichardGPettyMD.com. I have, as a real labor of love, created lists of all kinds of places – it’s one of the most comprehensive lists of where you can find out more about Qigong, homeopathy, flower essences – I’ve listed pretty much every integrated medicine program in the States that I know of, and many in Europe, as well as providing access to about 200 medical journals. So it’s all there, and I just did it because I thought people would find it helpful. So my website’s a pretty good place to start, simply because I took the time to check out every single one of my listings. When you and I first started talking, I had a look at your material because you don’t get on my list unless I’ve checked you, and you are going to be on my list – in fact, you’re going to be very high on my list at the end of today – because I always check everything myself. And then I go back and recheck periodically, just to make sure that people haven’t sort of gone wild and wooly. So it’s a good place to start. And it’s lists and has links to most of the major organizations that I’ve been able to check out, so you can find more information. I also have lists of books – I’ve put a load of lists of books and book reviews up on Amazon and then I linked to those through my website, as well. So if you’re interested in boosting your energy and that kind of thing, I provide *21:45 potted summaries of the books, so it gives you a good place to start. MB: So it’s probably the most carefully thought-out list that’s out there anywhere. RP: I hope so. As I say, I just did it because so many people kept saying the same thing – where should somebody go to get reliable information? Because I was seeing person after person after person who had oftentimes spent vast sums of money on all kinds of tests and investigations and treatments, some of which made absolutely no sense at all. And I’ve always been somebody who’s looked very, very hard at data. I’ve always been data-driven. One of the things that you may not yet know is that I had the privilege, for many years, of serving on the Research Council for Complementary Medicine in the UK and then actually chaired the whole organization – that’s how I ended up working with Prince Charles. The whole idea was to just find out what’s real and what isn’t, because there’s so much confusion. And once I discovered that there just was – there’s nothing out there. People were being misled all over the place, because most people, with the greatest respect, have never been taught how to read a research paper – I mean, why should they? And so people were just getting into such a mess. And I said, “Okay, I can read research papers. It’s what I do for a living. I’ve trained thousands of healthcare providers around the world on how to do this.” So I said, “Well, okay.” So I rolled up my sleeves and started doing this. And it took a while, but people obviously find it it’s a pretty useful site. I think as far as I’m aware, it is one of the most comprehensive, carefully scrutinized lists available. And I also try to update with new stuff, because, you know, what you said in your introduction is absolutely right. There’s not just confusion about medical things, but even in fact psychology. I talk a lot about the way that we are now in the fourth wave of personal development. You know, we went through all these different phases of what I’d call psychobabble and these different ideas, and now finally the whole personal development area is being data-driven. So your material is all about, “Well, what can you actually do? Show me the stuff.” And that’s so important, isn’t it? MB: Yes. Let me take a break here. MB: This is America’s Anti-Aging Psychologist, Dr. Michael Brickey, with Ageless Lifestyles Radio, one of those places for you to go to get the kind of information that Dr. Petty’s talking about. Today’s expert guest is integrative health physician, Dr. Richard G. Petty. His website is www.RichardGPettyMD.com. And his book that puts it all together is Healing, Meaning and Purpose. Information on Anti-Aging Psychology and my free Defy Aging Newsletter is at www.DrBricky.com, or you can just go to NotAging.com and it’ll take you to www.DrBrickey.com. Dr. Petty, one of the things you have a lot of expertise on is resilience. Can you tell us what you mean by that? RP: Oh, yes. This is something that is very, very close to my own heart. Resilience is the ability to bounce back, and it is one of the things that we have had the most trouble with, because various things have been happening in society and we as a people have been getting worse and worse and worse, to be honest, at being resilient, being able to bounce back. I think it was General Patton once said that, “I’m not interested in how far somebody falls; I’m interested in how far they bounce after they’ve fallen.” And that really does summarize what resilience is all about, why we’re so interested in it, because there are some very novel ways in which you can build your own resilience and feel much better very quickly. And it’s – I look at everything in the world, if I wished for one thing for everybody, it would be let me teach you how to build resilience. The trouble that has happened in recent years is that because everything has been so very easy – you know, if in doubt, you can just take a pill. That’s the solution to everything, and it’s created real difficulties. People do not any longer have the kind of endurance that our ancestors had. And it’s not a matter of being tough; it’s just a matter of knowing how you can put yourself back together again. There’s some very, very good data recently that even things like how do people handle rejection? People that are very good at handling rejection – and heavens, we’ve all been rejected at some time in our life – are the ones who are resilient. And it’s very important in terms not just of your physical health, but also in terms of your longevity. There is evidence now growing that one of the things that determines how long we live for is our ability to deal with the slings and arrows of outrageous fortune, to be able to bounce back when things hit us – which they inevitably will. It’s part of life’s rich tapestry, isn’t it? MB: Now, I know you’ve been at the University of Pennsylvania and worked with Dr. Martin Seligman, who is the guru of learned optimism and authentic happiness. How do those relate to resilience? MB: Just like the medical model. MB: I was going to ask if you didn’t offer. RP: Well, number one that I always start with is – and all the evidence on this is self regulation, the ability to be able to monitor your internal states, your moods, your emotions, your reactions, and to be able to watch them and modulate. A very simple way to start with that is I recommend a 60-second exercise. In fact, you can do it in less than 60 seconds. Every morning of just spending 60 seconds before you start your day, just observing your thoughts and emotions. It’s a very, very old Zen technique and it’s very simple. You don’t need to do it for hours. It’s not – if you want to reach Nirvana I guess you would have to. But all I’d like you to do is just spend a minute watching your emotions. The reason why this seems to work so well and has actually now become the basis of an entire new school of therapies, as you know, is that if you get into the habit of basically developing witnessed consciousness, being able to watch yourself, it’s remarkable how quickly you can actually start noticing that you’re not your emotions and you are not your thoughts. And instead of being buffeted by everything that comes through, you are able to quickly take control of the situation. You can de-stress this way. You can watch it happen, and you just begin to detach from the idea that “I am my emotions.” And so I really very strongly recommend to everybody – just try the 60-second thing of watching. You’ll find it’s amazing. Chances are you’ll get hooked and want to do it for more than a minute afterwards. So that’s number one. Number two is to – the key to resilience is coherence, and that’s how we come full circle back to my purpose and meaning. If your world doesn’t feel like it’s manageable and meaningful and comprehensible, it’s extremely difficult to cope. And there’s a ton of very good data on this, that if you feel that your life is unmanageable, things don’t make sense to you, it’s extremely difficult to bounce back. And that was why we started with the purpose and the meaning piece. So coherence, that everything has some sense to it, that you’re not stuck in some dreadful Kafka novel, that you actually are a participant. Because one of the things that is interesting – and I noticed on your website that you’d picked up on this very important data about health, longevity, wellness, that a key to it is to actually be participating, that you not isolate, and that you actually feel empowered and that you can make a difference in your world. Absolutely key – it’s not just about healthcare; it’s empowerment and feeling that you are involved. So this is absolutely a key piece to this. And I don’t know if you saw some very fascinating new data from UCLA about when people are lonely and isolated, the inflammatory mediators surge in the blood, and people that feel better – and in fact, when people start making social connections, the inflammation starts coming down again. Very remarkable, that you can measure it. MB: And it’s starting to look like inflammation is a real big key to all of our health problems. RP: Oh, it is, without question. Inflammation is involved in places that most people have absolutely no idea. And I’ll tell you, when I first started looking at this, about 20 years ago when I was writing one of those doctorates, I put in a long section about historical data on inflammation and vascular. And at the time that I was being examined for it, they didn’t know whether they were going to fail me for being too out in left field or give me the gold medal. And it was – now, of course, everybody’s realizing even things like heart failure, arterial sclerosis – they’re all inflammatory. So any kind of social engagement, making friends, it will help you. MB: So let’s get back to our third step in resilience. RP: Third is perspective – you must be able to see things from a positive position. And that’s – you see how all these link together. If you have the self-regulation piece, you’ve been watching, you’ve also got this ability to make sense and have purpose. So perspective is absolutely key. Fourth is earned rewards. That’s very interesting, because, you know, for years people used to talk all about self-esteem and all of that. The self-esteem literature is actually a lot weaker than most people realize. And the most important thing about all of that is self-esteem that happens because you’ve succeeded – that’s great. Just telling somebody they’re wonderful, looking the mirror every morning and telling yourself how great you are doesn’t cut it. So it’s having earned rewards. Number five is purposeful physical activity, so actually doing things that are meaningful – I just dug a ditch, it’s great. And the last two that, again, bring us back to where we started are hope – there’s an enormous amount of very good evidence now on the association of hope and recovery from all kinds of illnesses and actually keeping well. And last is faith – and it doesn’t necessarily mean religious faith, if that’s – but having faith in yourself and in something, so to the greater good. And again, that’s that participation thing. So those are my main steps: Self regulation, adherence, perspective, earned rewards, purposeful activity, hope and faith. Together they can change your life in the most fantastic way. MB: I think one of the most remarkable things that has happened in psychology in the last 20 years is we would look at concepts like resilience or optimism or happiness and everyone would say, “Yeah, we should have that, we want it,” but would be pretty clueless about how to achieve it. And now we have systems that people can use to achieve those. RP: And I think it’s remarkable, isn’t it, the way in which we had to get other cultures that provided with some of the clues for how to do this. When you think about it, people like the Tibetans – I mean, they were stuck in those high mountain places for a thousand years, they were left alone, and all they did was think about how to control their minds. So probably worth listening to after a thousand years’ experience. And then, of course, the science starting looking – and you mentioned Marty Seligman – and others have done all of this work. And now we realize that there’s a huge amount that you can do for yourself and your family and the people around you very quickly. And it’s amazing how many years. When I was training, and maybe you as well – we didn’t talk about it. MB: Um-hmm, because there wasn’t any data on it. RP: No, but now there’s a lot of extremely good stuff. This is not something that’s just cozy or feel-good stuff. It’s absolutely rock solid data. And the other thing – and one of the reasons I became so involved with it, is building resilience, using those very simple steps, is also one of the keys to avoiding burnout. And I once suffered burnout. I missed it completely in myself. I was a meditation teacher and I missed it. So now I’m evangelical about showing people how not to burn out. MB: How do you see depression fitting into integrated health? RP: That’s a very big question in this sense. There are multiple contributors to depression. And again, I like to use my little model – physical, psychological, social, subtle, and spiritual. And the reason I do that is because undoubtedly there are some people who have a biochemical – a measurable biochemical disturbance which causes depression. And that may be the predominant feature in that. And those souls oftentimes need pharmacological help. There’s not a whole lot else that works on its own. But pharmacological help is not the only thing. You can also certainly have things in your life which may cause depression because you’re not that resilient or because something really terrible has happened. And there’s also the social component. There’s a very interesting new idea that I’d like to share because it helps people greatly. There’s a fundamental difference in the way that men and women tend to communicate and relate to each other. I’m not taking about something soft – you know, the men are from mars thing; I’m talking about some very interesting empirical data. From early puberty – and this is trans-cultural, not just learned behavior – we know that men tend to be very transactional; women tend to be far more relational. So men – it’s far more about the deal, you know, what’s the answer? Women tend to spend more time on the social aspects, relationships. One of the problems that arises is that during adolescence, girls tend to have much deeper relationships, and when they break, as they do all the time – because there’s so many emotional variance in that – when they break, they get disappointed. And it’s now believed that’s one of the things that may actually set up women to getting depression later in life. And that’s partly the explanation for why depression is more common in women. Useful to know that, because it helps explain lots of very odd data from the 60s and 70s about the causes of depression. And why I use my whole model, I also regularly see people who are depressed because they feel a spiritual hole in their lives. There was a study that recently suggested that 30 million Americans regard themselves as spiritual seekers, people that feel they have a spiritual hole, and that in itself can be a very potent cause of depression. That’s why I’d like to sort of approach it from all of these different angles. And I find that is often a far more satisfactory way of giving people what they need. MB: I think that makes a lot of sense that it’s different people have different gaps that are causing the problem, and you need to concentrate on what’s causing their problem or what their needs are, rather than one size fits all. RP: Absolutely correct. And there’s been a great deal of discussion recently because we’re currently in the process of establishing a new diagnostic manual which is due out in 2011, and one of the problems that’s been coming up again and again is the way that people are trying to include normal human variation and make it pathology – which means you have to give it a drug. And you know, it’s okay sometimes to be shy. It doesn’t mean you have social phobia and have to take a drug for it. It’s okay to be depressed because your wife’s died – you know, that’s okay. It really is. And it’s very important to contextualize and just to see exactly, you know, when is it a sickness, when is it a physical thing, when is it psychological, when is it okay – and all of those questions, because we are all different. And the one size fits all does not work, and it ain’t going to help to give everybody in the world Prozac. Somebody tried doing that – there was an entire town where everybody was given Prozac. And believe it or not, some people got very, very, very sick. MB: Sooner or later we all have friends that develop cancer and maybe we develop it ourselves. What do you say to a person who’s just received a diagnosis of cancer, say colon cancer, and they’re just feeling overwhelmed and don’t know where to start and don’t know whom to turn to? RP: I’m very happy to reveal that I went through this problem myself several years ago, so I’m a survivor. And I think there’s never one single way to talk to anybody about this, when they’ve had a problem. That’s why I’m always interested to know where is a person’s center of gravity, what’s important to them? Because for one person, talking to a psychologist would be a good thing; for another, a priest; for another, they just really want the kindness and comfort of family members. Because we’re all different. Some people like sympathy; others thing that sympathy is the worst thing in the world and “Go away and don’t bother me with it!” So it’s – we’re all very different in exactly what we like, how we respond, and what will work best for us. So I think the key point is it’s individualized. Know where a person’s center of gravity is. And again, if I had one wish in the world, if I had my magic wand, I would like everybody in America, in childhood, to learn resilience, to learn the art of what’s important for you, how to bounce back. And then it makes it much easier for the people around you to help you as well. So it’s always – I think it has to be individualized, because I know that when I was facing this kind of a problem, my approach was very proactive and I wasn’t about to sit around and feel sorry for myself; I was going to get over this. And five years later, I have. And so how we actually approach that and how we always approach it is, again, from all the different perspectives. And it’s just a slightly different way of thinking and a slightly different way of acting, and it really makes a huge difference. MB: So your approach is to start with questions about meaning and then also take a look at resilience. RP: Absolutely, absolutely, because – and I’ll give a very practical example about this and a couple that I’ve dealt with very recently, and somebody else in another part of the world that I used to see, is that whenever anybody has bad news of any sort, anything like this that is happening, is that you really need to find what is important to them. Is it that they’re frightened? Is it that they don’t want to leave their kids? Because when you actually find the area that is important to them as individuals, deep down inside – not the superficial – “Well, I just don’t like being ill” – the real core features, it’s amazing, because then you can very quickly give them advice that fits. So if there’s – in my case, I had work to do. I had a message to bring out and I realized it was time to stop just writing academic papers about it, but actually to take it to the world. And that was – for me, it was very helpful. For somebody else, they would have a different motivator. It would be maybe that they don’t want to leave their kids alone. Whatever it happens to be, individualize it, find where that center of gravity is, find the purpose and meaning, and build that resilience. And if you do those things, you are giving a gift that goes on giving and it’s more valuable than anything else in the world. MB: That makes perfect sense. What would you say are the most exciting developments in health and integration of health? RP: Oh, well, there’s so many of them. Mike, you know, this is an amazing statistic – it’s now calculated the sum total of all medical knowledge is doubling every three and a half years. In the area of the brain, it is doubling every two years. I find that just absolutely stunning that if we look at everything that was discovered in the history of the world up until the beginning of 2006, it’s just doubled. And I think that’s just amazing. I think the most interesting things that we have learned recently that are going to impact everybody in a very major way is the brain regenerates throughout life. We know that the richest source of stem cells is actually inside the brain. And the whole stem cell debate that’s been very hard for many of us over the years is probably going to turn out to have been meaningless. The brain is full of the things. And we know that you can continue creating new neurons – not many, but in key areas that are very key throughout life, certainly into your 70s. There are even midwife cells that direct the stem cells. That’s a huge thing. Second is that the brain constantly recruits what it needs. It’s one of the things that is different between us and most other mammalian species. When you’re on a task, what happens – and I always counsel people, “Don’t say this bit of the brain does this and this bit does that.” The brain simply recruits what it requires. That leads us into the other extraordinary thing, the plasticity of the brain. It’s way beyond what most people realize. You’re a psychologist, you know this field very, very, very well. Most people outside our field simply do not know what seismic changes are taking place in psychology and brain right now. And related to all of that is what I love saying, is biology is not destiny. I think one of the most extraordinary things in the field has been the discovery that our genes, certainly the ones in the brain, do not determine our behavior. You know, we were all brought up on things like eye color and sweet peas, and you know, if Mummy and Daddy have blue eyes and little Johnny has brown eyes, Mum has some explaining to do. That simple idea doesn’t work in the brain. There, it turns out, that most of the genes are involved not in determining your behavior, but how you respond to the environment. And this constant interplay is, I think, a very remarkable thing, and it is also informing a lot of this integrated approach, that by doing the right medications, if that’s what’s needed, by doing the psychological material and so on, that all of those things together can have measurable physiological effects in the brain, the spine, in fact probably all over the body. And I think that’s a most incredible discovery. Biology is not destiny. They shape but they do not determine where you’re going. MB: So if you blink, you just missed more breakthrough research developments, and the developments are becoming more optimistic all the time about our ability to be resilient. RP: Absolutely. And if we have a real take-home message today – apart from the little thing on how to boost your energy, which is a little gift to everybody – it’s just realize that in the midst of all the bad news that we keep hearing about, there is just this extraordinary maelstrom of new, very positive information. And we’re even reconceptualizing things like how medicines work. I know we’re pretty much out of time today, but it’s a very interesting field. So you mentioned depression a few minutes ago; I’m going to leave you with a parting shot, that it now appears that antidepressants don’t anti-anything. What they do is they help to build resilience. Remarkable new discovery, but that’s something for another day perhaps. But it’s very important for people to know that there’s so much very interesting, new information, rock solid data, that have already had a major impact and is changing all of our lives. It’s wonderful. MB: I love ending on a positive note, and I love the way you pull so many things together and make it simple and a few steps and common sense, that is not very common. This is America’s Anti-Aging Psychologist Dr. Michael Brickey with Ageless Lifestyle Radio, one of those places for you to go to get the kind of information that Dr. Petty’s talking about. Today’s expert guest is integrative health physician, Dr. Richard G. Petty. His website is www.RichardGPettyMD.com. And his book that puts it all together is Healing, Meaning, and Purpose. Information on Anti-Aging Psychology and my free Defy Aging Newsletter is at www.DrBrickey.com, or you can just go to NotAging.com and it’ll take you to www.DrBrickey.com.